Washington's Birch Bay, a lovely half-moon bay near the Canadian border, feels remote. 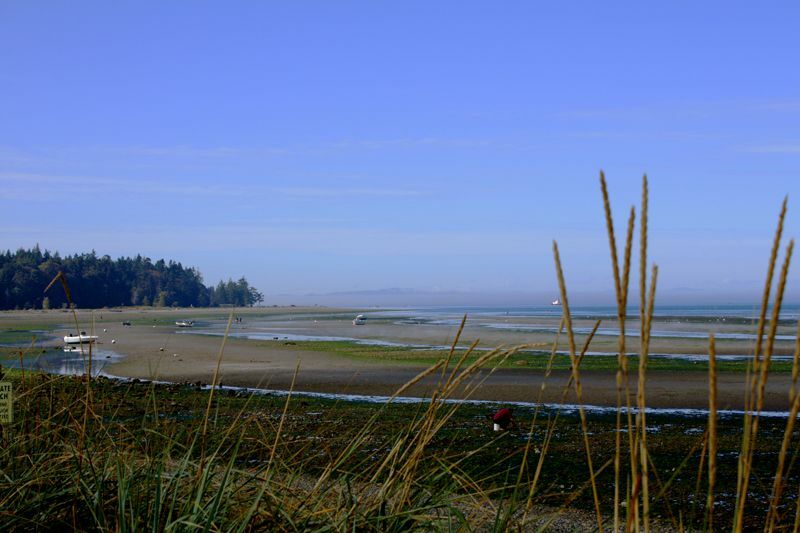 If you want to savor a quiet getaway, Birch Bay offers the opportunity to slow your pace, to wander the beach, or to just sit and stare out at water and island views. Yet Birch Bay is also convenient to a number of Whatcom County activities and attractions, making it a great base for a more varied vacation experience. Located in the heart of Birch Bay, the Sandcastle at Birch Bay offers one- to three-bedroom, beautifully-appointed condominiums. Gas fireplaces, full kitchens, private decks, and washers and dryers are just some of the comforts of home you'll find in each unit. On-site amenities include a rooftop deck, a spacious club room, a fitness center, and casual dining. Most rooms enjoy incredible views of Birch Bay or Mt. Baker. Budget travelers will appreciate the Driftwood Inn's basic rooms and suites. The small town of Birch Bay provides an adequate selection of fast food and casual dining options. If you wish to enjoy a fine dining experience, you'll need to drive to Ferndale or to Semiahmoo Resort. For a special evening, dine at The Steak House at Silver Reef; their table-side preparations, acclaimed wine list, gracious service, and intimate old-world elegance set the stage for a truly memorable occasion. The Market at Birch Bay grocery store, located in the Birch Bay Square shopping center, offers an excellent bakery and deli selection. This county park is a great beach for walking, birding, and rock picking. Walk on both sides of the US/Canada border within this international peace park. The rural town of Lynden's Dutch heritage can be enjoyed at one of several homey restaurants.